Greece is the origin of western civilization and the source of the European sovereign debt crisis that has intensified since 2009. Shortly after taking office in 2009, Greece's new prime minister George papandreou's new government is in the same year in early October announced its fiscal deficit accounted for the proportion of gross domestic product rose to 12.9%, public debt accounted for the proportion of gross domestic product rose to 131%, this is far beyond the European Union's stability and growth pact by 3% and 60% ceiling, Greek sovereign debt risks. In December of that year, three major international rating agencies fitch, standard & poor's and moody's successively downgraded the credit rating of Greek sovereign debt, and the Greek sovereign debt crisis broke out. 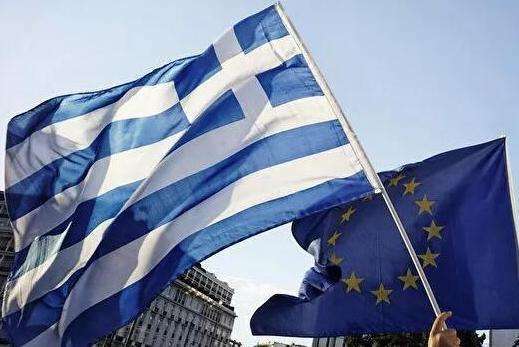 Greece has voted in a referendum to reject a draft deal put forward by international creditors for a third bailout, escalating tensions with its creditors and raising the prospect of a Greek exit from the eurozone. Although the referendum result was merely an attitude statement, it once again drew international attention to the Greek debt crisis. The single economic structure makes the Greek economy highly dependent on foreign countries and vulnerable to the adverse impact of the international economic environment. The industrial structure of Greece is not reasonable, the proportion of the secondary industry is very low, the manufacturing base is weak, and the proportion of the tertiary industry in the GDP is too high, reaching over 80%. Shipping and tourism, two of the pillars of the Greek economy, are heavily dependent on the international economic environment and have been hit hardest by the European debt crisis. Over the years, the Greek government has failed to develop its core competitiveness against international economic adversity. Greece is a high-welfare country with high public welfare expenditure. In addition to the excessive payment of pensions and the reduction of retirement age, the social welfare is more extravagant. As the fiscal debt mounted and the problem grew, the government could do nothing about it. The Greek government has long been in debt, with a huge scale and a high asset-liability ratio. It has not properly controlled the debt scale, and it faces a high double deficit in finance and trade. After the outbreak of the financial crisis in 2008, a large number of debts came to maturity one after another, and their solvency continuously declined, so they could only repay the old debts by issuing bonds, forming a vicious circle. That led the European Union and the international monetary fund to step in and demand austerity. Since the outbreak of the European debt crisis, standard & poor's, moody's and fitch ratings agencies have frequently downgraded Greece, Portugal and other countries. This is another major blow to the above countries, and makes the European debt crisis even worse. The write-down of Greek debt caused a selloff by international investors, which led to a sharp rise in the yield of its government bonds. After that, the country not only had difficulty in borrowing, but also the interest cost of debt increased sharply, thus giving credit rating agencies a reason to lower the rating. But once the rating is lowered, the bond yields of the countries in crisis will rise further, forming a vicious circle, and the crisis is getting worse and worse. The ECB's executive board has criticised international credit rating agencies as a source of volatility. The profligacy of Greece's government and people is partly to blame, but the poor design of the euro system is the main reason why the crisis has spread. The design of a single European currency the euro, the purpose is to unify the currency, but can't figure out the problem in advance monetary system and finance, Treasury system, more not fully considering the national economic conditions and cultural differences, until "piigs" fiscal control, but because has lost the independent monetary policy, cannot be adjusted through the issuance of currency, so only by spamming bonds to a lifesaver. The "disciplinarians", led by Germany, who are imposing austerity on every country, will not only increase the suffering of their people, but also prevent economic recovery. The Greek economy has been shrinking under austerity after austerity. Although the Greek debt crisis is unlikely to affect the debt situation of local governments in China through the financial market, it has increased the debt risk of local governments in China. Since China implemented the tax distribution reform in 1994, the relationship between the central government and local governments has been readjusting. However, the responsibility sharing of fiscal expenditure has not changed much. The people's livelihood, medical care, compulsory education, public services and other expenditures are mostly undertaken by local governments. China's local government debt has exceeded 20 trillion yuan, and the size of local government debt is even comparable to Germany's GDP. Therefore, the debt risk of local governments in China should not be underestimated. We should constantly strengthen the control of the debt scale of local government financing platforms to prevent local debt risk. After the outbreak of the European debt crisis, European governments have introduced policies to stimulate exports one after another, and trade frictions between China and Europe will also increase. Since the trump administration took office, protectionist tendencies in the United States have increased. China is facing a tough international trade environment, and the traditional export-oriented economy is bound to be adjusted. We should accelerate the supply-side structural reform, continue to push forward the "three policies of reducing production capacity, inventory and leverage, reducing costs and strengthening weak links", constantly optimize the economic structure, realize the optimal allocation of resources, and lay a good foundation for the sustainable development of China's economy. The debt crises in Greece, Portugal and other European countries are all due to the poor fiscal discipline of the governments. Large fiscal expenditure is often the most important cause of debt crisis. Yin jian is not far away. Although China's financial situation is generally good, the Chinese government should also pay attention to the excessive government debt and the construction of fiscal discipline. China should avoid high fiscal deficit and pay attention to prevent and solve the debt crisis.